After today’s Apple event, showcasing some shiny new iPads, one question came to mind: Why the hell is Apple still keeping the iPad 2 around? What Are You Doing, Apple? 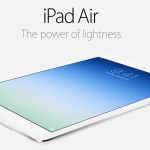 Apple kept the iPad 2 around once the fourth generation iPad replaced the third. And that made sense. Because of the minor difference between the third and fourth generation iPads, keeping the flagship device and the “older model” made sense. But now, here we are, a product refresh later, with the iPad Air. Following suit, I would think Apple would now keep the fourth generation iPad as the “older model,” while selling their newest model, the Air. But that’s not what they’re doing. It seems Apple felt they needed to keep two iPads on the market: an older, 30-pin device and the newest Lightning model. And now, they’re still keeping the iPad 2 around. Which would probably be all right, except for one thing: It’s still $399. Are you kidding me, Apple? I can get a faster, lighter, newer, and smaller iPad for the same price (the new iPad mini). Not to mention one with a beautiful Retina display which the iPad 2 lacks. Keeping the very dated iPad 2 at the same price point is quite ballsy. In fact, I think it’s quite a rip off. Who Wants The iPad 2 Anyway? If Apple is keeping this old device around, there’s got to be a reason. I’m assuming that reason is because it’s still — or was still — selling well. There is a certain niche the second generation iPad appeals to. The way I see it, there are two types of people the iPad 2 appeals to: businesses and educators. This includes anyone in the medical field, musicians, students, and schools. I assume many businesses and schools are using kiosks and docks that fit the iPad 2 only — not to mention use the 30-pin connector as the newer iPad models use Lightning. Not only are there personal docks that will only work with the iPad 2 now, but there are many pieces of professional hardware that was made specifically for the iPad 2. For example, some tools musicians would use that depend on docking the tablet or attaching it to some specific hardware. Also, for schools, the cheaper option for an iPad makes more sense. Schools don’t have loads of cash, typically, to drop on improving their education environment and tools. However, after today’s event, how can one even think of dropping $399 on a two year old device? Especially when you can get a brand new, better device for just $100 more. 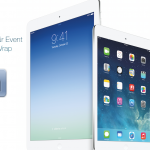 Or get a new Retina iPad mini for the exact same price. And with the release of iOS 7 — buggy, slow iOS 7 — that runs worse and worse, the older the device, why would you waste your money? Here’s what I think Apple’s tactic is, though: up-selling. Any decent businessperson knows that if you want to sell something bigger and newer, the best way to do that is to sell something smaller and crappier for not much less. Even if that older and crappier thing is not worth it, the newer thing will look like a better value and become irresistible. There’s a certain tactic called The Decoy Effect. They do it at movie theaters, and you know how much movie theaters like to rip you off. Essentially, this tactic is “the phenomenon whereby consumers will tend to have a specific change in preference between two options when also presented with a third option that is asymmetrically dominated.” To understand it better, you can watch this video. Well, it seems to me that’s exactly what Apple is doing by keeping the iPad 2 around at the same $399 price point it was before, when really they’re trying to sell you the new iPad air or iPad mini instead. Genius, right? But still a horrible ripoff for those who fall victim to actually buying an iPad 2. The iPad Air (starting at $499) and the iPad mini (starting at $399) are both decently priced. 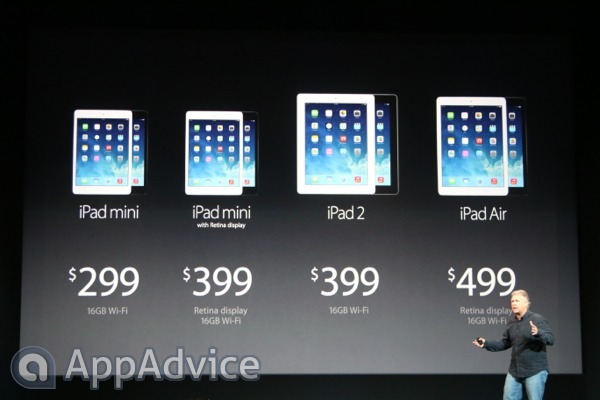 They just look like an even better deal, now, next to the 2+ year old iPad 2 still costing $399. Don’t waste your money on an iPad 2. Please.